Containing paratransit costs and promoting rider independence while increasing fixed route public transit utilization. Intensive, customized one-on-one travel training to familiarize riders with public transportation options. Extensive cost savings of approximately $1 million annually, as well as increased confidence and access for trainees. 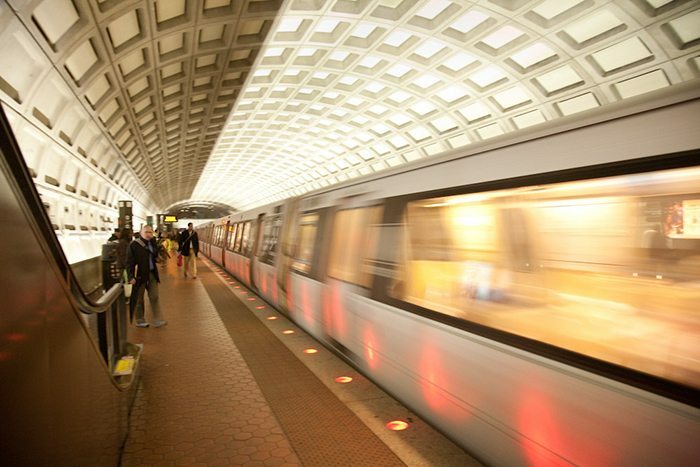 As one of the nation’s largest transit systems, WMATA sought a travel training contractor to coordinate intensive one-on-one training with capable users of its MetroAccess paratransit service. 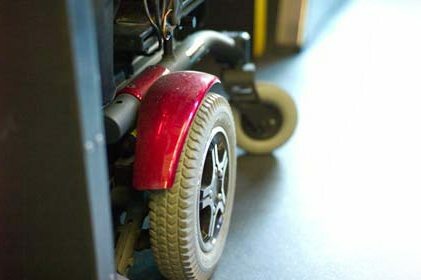 Through MetroAccess, WMATA provides complementary Americans with Disabilities Act (ADA) transportation in the District of Columbia for individuals with disabilities who are unable to safely access fixed route bus and rail transportation. With the goal of containing system costs while decreasing paratransit utilization, increasing public transit use, and fostering independence and confidence for riders, WMATA partnered with MTM for travel training services in January 2012. For MetroAccess users who have the ability to utilize fixed route bus or rail all or some of the time but may require assistance before doing so, MTM’s On the Move program provides comprehensive instruction in real-life transit scenarios to familiarize riders with local transportation options. On the Move offers customized travel training to help riders gain new skills, overcome fears, and build confidence. Training processes utilize the standards and methodologies of national organizations such as the National Transit Institute (NTI), the Association of Travel Instruction (ATI), and Easter Seals Project ACTION (ESPA). 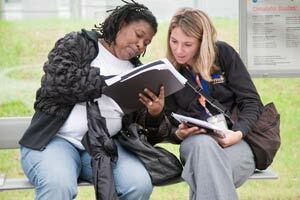 In the District of Columbia, On the Move features individualized, route-specific travel training. Trainees learn how to travel via bus and/or train to locations such as school, work, volunteer opportunities, church, senior centers, recreation centers, libraries, museums, shopping destinations, and other community resources. Depending on the individual’s specific needs, initial skills, and travel goals, training lasts as long as needed for the individual to travel safely and independently. For some, this can be achieved in three or four sessions; for others, it could take two to three weeks’ worth of training. MTM’s travel trainers work with trainees utilizing a variety of techniques, including modeling behavior, developing individualized learning tools, fading out as the trainee demonstrates competence, and shadowing the trainee to ensure safe travel skills. Over the first year of the contract, MTM’s local travel trainers developed and administered training plans for more than 100 individuals with disabilities ranging in age from 16 to 65. Additionally, On the Move trainers provided outreach to over 900 local stakeholders, including potential trainees, social workers, case managers, therapists, and teachers. Travel training has achieved excellent cost savings for WMATA. For each round trip a trainee takes on the bus or train instead of paratransit, WMATA saves approximately $96*. With these results, if each ADA-eligible trainee took an average of two round trips on public transit each week, WMATA would receive nearly $1 million in annual savings. At the same time, trainees benefit from increased independence and better access to their community, and often gain a new perspective on their abilities. Quentin’s travel trainer listened to my concerns and questions, provided open communication, and checked in often. Quentin’s confidence has gone sky high, and he has changed from being shy to wanting to get out and do more. This program has made him so independent.